A 2015 Ferrari LaFerrari sold for $3,410,000 and 2016 Ferrari F12tdf sold for $1,320,000 as the top results at the Mecum Kissimmee 2018 collector auction and the first cars this year to sell for over a million dollar at public auction. The top results at the Mecum Kissimmee car auctions in Florida in the first half of January 2018 were $3,410,000 for a 2015 Ferrari LaFerrari and $1,320,000 for a low-mileage 2016 Ferrari F12tdf. Two further lots achieved over a million dollar but these were for a pair of 1969 Camaro ZL1 cars and a quartet of Mercedes Benz AMG Black Series cars. The highest bid at the auction was $3.5 million for a 2018 Bugatti Chiron but was not accepted. While most of the world’s largest car auctioneers are gearing up to start the classic car auction year in Scottsdale, Arizona, Mecum was already selling at its annual Kissimmee sale in Florida, USA. The Mecum Kissimmee auction was held from 5 to 14 January 2018 at Osceola Heritage Park in Kissimmee, Florida, USA. Mecum offered 3,023 cars for sale and with a sell-through rate of 73% saw 2,208 vehicles sold for a combined $96.6 million – a $10 million increase from 2016. $1,210,000 – The 1969 Camaro ZL1 Offering: No 18 & 30 of 69 built sold as a pair. 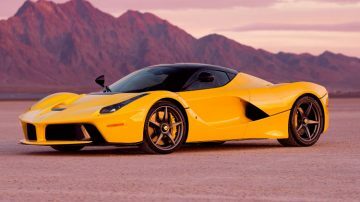 A 2015 Ferrari LaFerrari sold for $3,410,000 as the top result at the Mecum Kissimmee 2018 sale. The Ferrari was listed as sold the day after the auction but the price was only revealed a few days later, so this was presumably a post-hammer deal. It was a solid but not spectacular result for a LaFerrari with just 317 miles on the clock. A 2016 Ferrari F12tdf sold for $1,320,000 as the top hammered result at the Mecum Kissimmee 2018 collector car sale. It thus became the first car sold at public auction in 2018 for over a million dollar. The bright yellow over black Ferrari was sold from the Michael Flux Collection and is one of only 799 produced. The car has covered only 150 miles since new. The 1969 Camaro ZL1 Offering achieved $1,210,000 for two cars: No 18 & 30 of 69 built. The Mercedes Benz AMG Back Series Quartet achieved $1,001,000 for four low mileage AMG Black Seires cars: a 2104 Mercedes Benz SLS, a 2009 Mercedes Benz SL65, a 2013 Mercedes Benz C63 and a 2008 Mercedes Benz CLK63. Several cars at Mecum Kissimmee 2018 attracted highest bids above or near a million dollar but failed to clear the reserve margins. Some bids were very close to published reserves and lower estimates so deals could certainly be made. If the highest bid of $3.5 million for the 2018 Bugatti Chiron was accepted, a result including premium would have been higher than the $3,772,500 that RM Sotheby’s achieved at the New York 2017 sale a month earlier for an unregistered car. RM Sotheby’s will offer a European-specification Chiron at the Paris 2018 sale in early February while a US-specification model was announced for the Mecum Los Angeles sale in mid-February. The Bugatti Chiron cost new around $3 million while the return on a Ferrari F12tdf could almost double the original owners outlay. 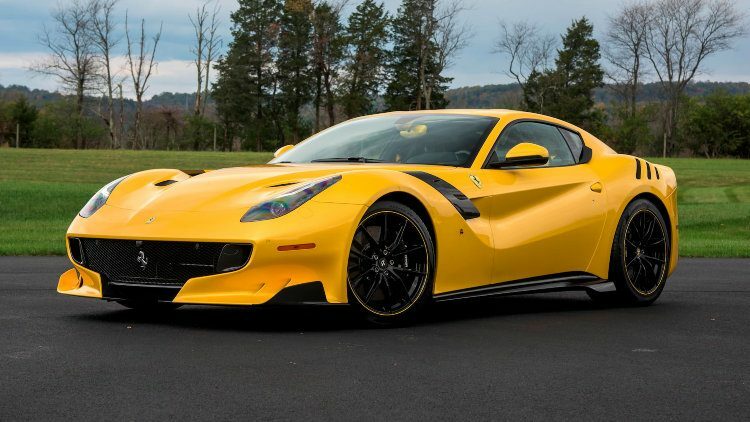 The highest bid for the 2017 Ferrari F12tdf was only $50,000 below lower estimate. Another F12tdf will be on offer at RM Sotheby’s Arizona 2018. The highest bid for the 1958 Mercedes Benz 300 SL Roadster was only $25,000 below the announced reserve. A further seven 300 SLs (five Roadsters and two Gullwings) will be available at the various Scottsdale auctions. Similarly, many Shelby Cobras – from originals ones to continuation and reproduction of varying quality will be on offer at Scottsdale with the largest number at Barrett Jackson. The next major car auction series are in Scottsdale, Arizona, in January and the Rétromobile Week sales in Paris, France, in early February. Mecum’s next auction is in Los Angeles in mid-February – a 2018 Bugatti Chiron will be amongst the main attractions.